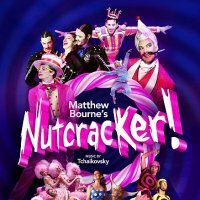 After a seven-week Christmas season at Sadler's Wells, Matthew Bourne's much celebrated Nutcracker! will be continuing its national tour, with visits to Liverpool, Oxford and Bristol early next year. One of the most popular dance productions ever staged in the UK, Matthew Bourne's Nutcracker! is celebrating its 20th anniversary with a busy start to 2012. After visits to Bromley, Cardiff and Edinburgh in November 2011, the Sadler's Wells Christmas run starts on 6th December, ending on 22nd January. The production of Tchaikovsky's glorious score features Anthony Ward's unforgettable sets and costumes and tells the story of Clara, who lives in an orphanage run by a wealthy family. In the Matthew Bourne adaptation, the Sugar Plum Fairy is replaced by 'Princess Sugar', a woman of loose morals and even looser underwear who steals Clara's man. Clara must find her beau - and secure her happy-ever-after - before he marries the Princess. Following the Sadler's Wells shows, the production moves to the Liverpool Empire for five nights from 24th January. Two more five-show runs follow in Oxford and Bristol, starting on 10th and 17th April respectively. Tickets for the 2011 dates including the London run are still available for most performances, with prices starting at £10. The 2012 tour dates are also on sale now, priced from £16 for Liverpool, £17.50 for Oxford and £19.50 for Bristol. Jun 2011:Christmas 2011: London theatre round-up - tickets just released for Xmas season!